With the Z Limo fleet of luxury sedans, SUVs, vans, stretch limousines, minibuses, and motor coaches, we are ready and able to serve your every need around the clock, as well as around the globe. 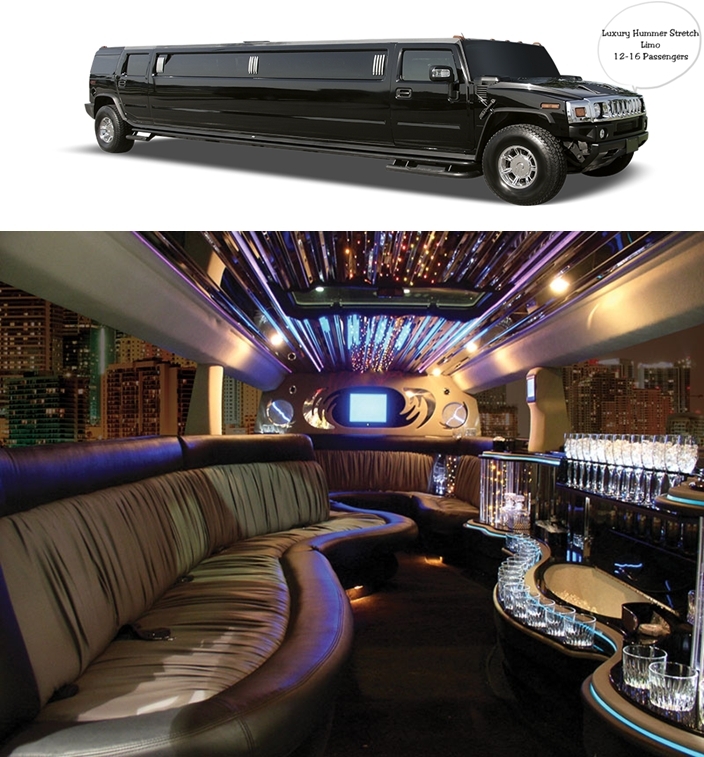 Whether you need an airport pick up, a corporate event, or a night out on the town, let Z Limo take care of you! 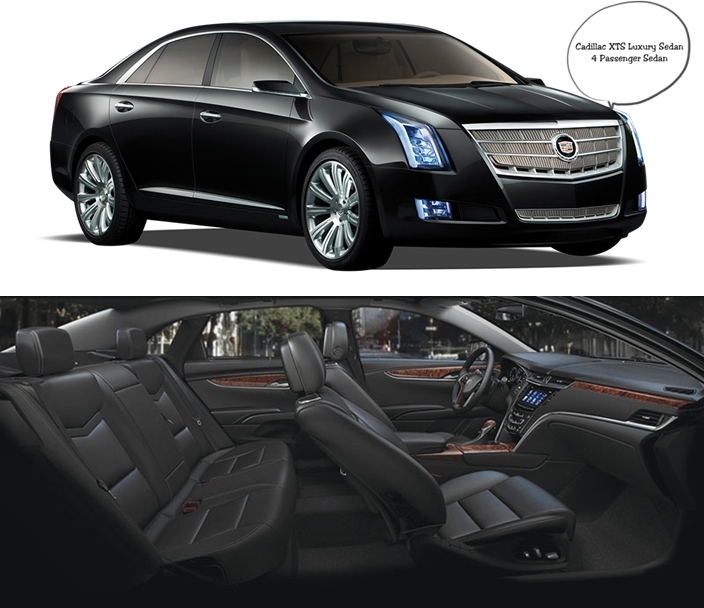 These executive sedans offer the utmost in comfort and style with extended leg room, tinted windows for your privacy, and luxurious leather interior. 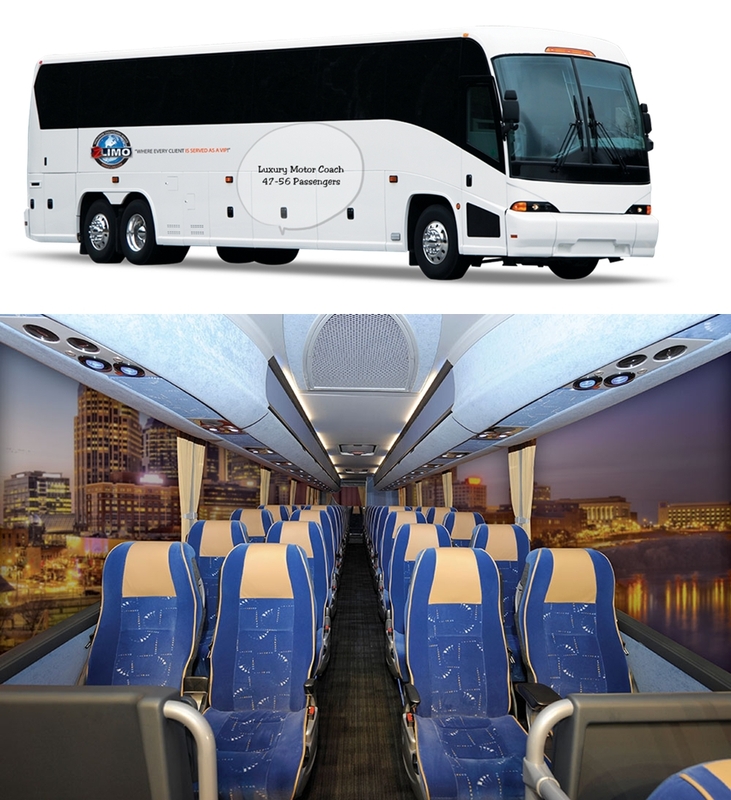 These vehicles offer free Wi-Fi, bottled water, tissues, hand towels, and mints for your convenience, so you can arrive at your destination refreshed and prepared. Our luxury sedans offer complete comfort and style with dark tinted windows for your privacy and luxurious leather interior. Our vehicles offer free Wi-Fi, bottled water, tissues, hand towels, and mints for your convenience, so you can arrive at your destination refreshed and prepared. 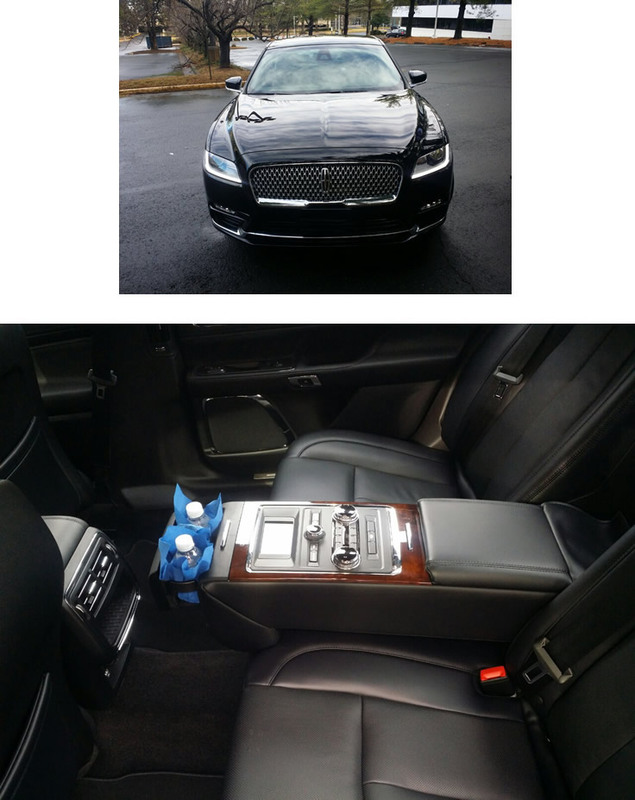 This exquisite luxury sedan combines comfort, performance, safety, and the power required to give its passengers a smooth, safe, and elegant ride to their destination. All vehicles are equipped with free Wi-Fi, bottled water, tissues, mints, and hand towels so you arrive at your destination refreshed and prepared. 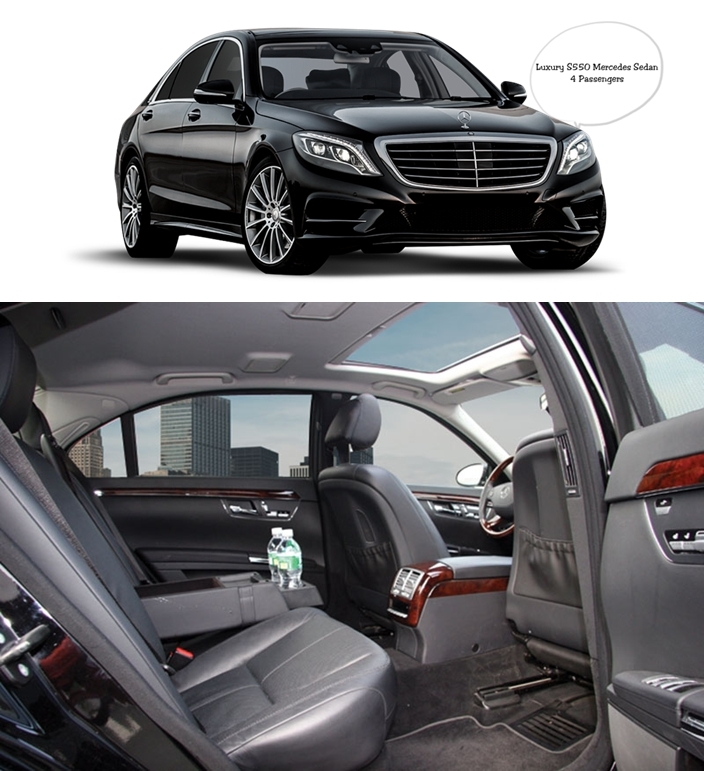 Black inside and out with luxurious leather interior and dark tinted windows for your privacy. 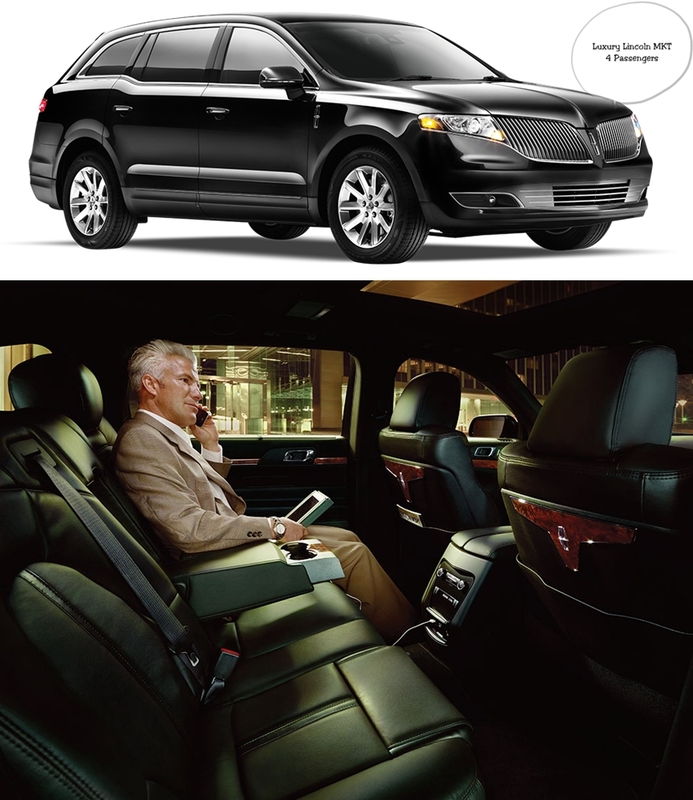 Our luxury SUVs offer ample leg room, dark tinted windows for your privacy, and luxurious leather seating. Each of our vehicles are equipped with free Wi-Fi and stocked with bottled water, mints, tissues, and hand towels so you arrive at your destination even more refreshed and prepared! 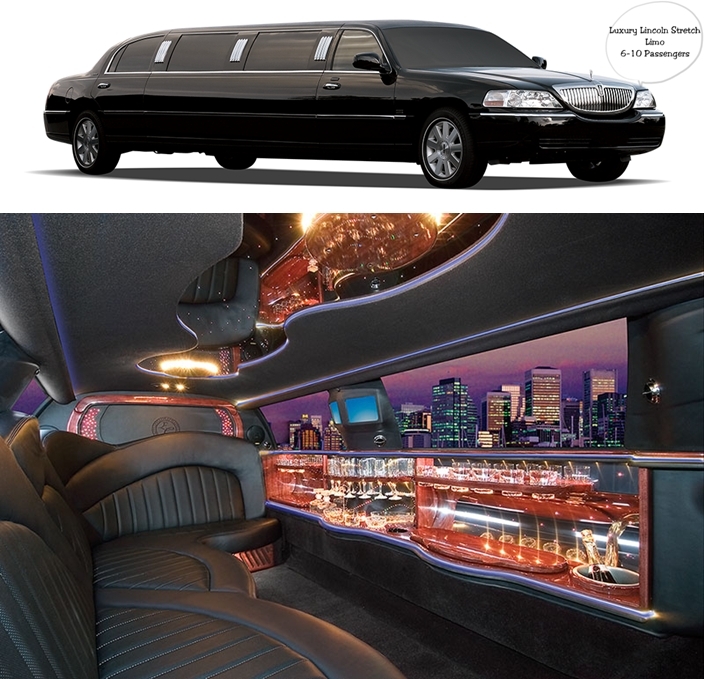 This luxury stretch limousine is the epitome of elegance and class. 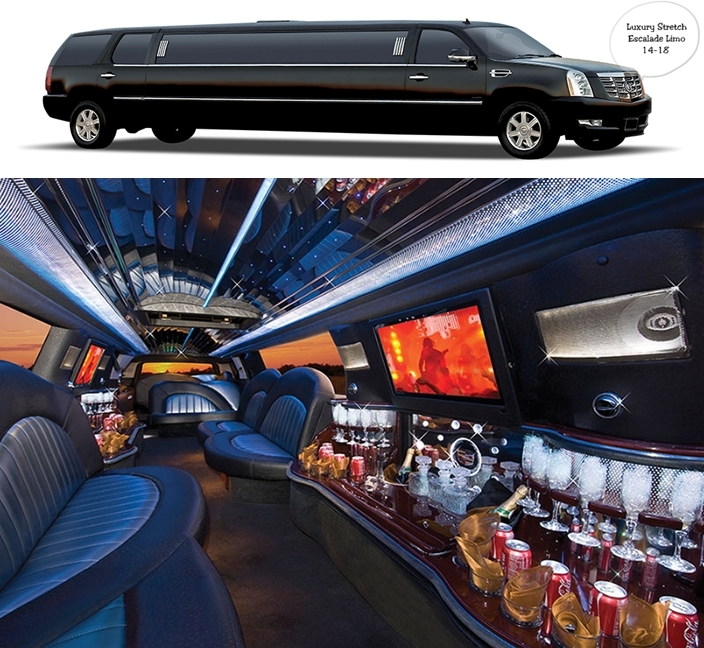 Whether it’s a night on the town or a special event, you'll arrive in absolute style. With complimentary bottled water, soda, and stocked with wine and champagne glasses, you will arrive refreshed and ready to enjoy your event! Mercedes Benz Sprinter Luxury Van, with all the quality the name implies. In addition to standard leather seats, tinted windows, and premeire sound, this van is designed for comfort like no other vehicle. 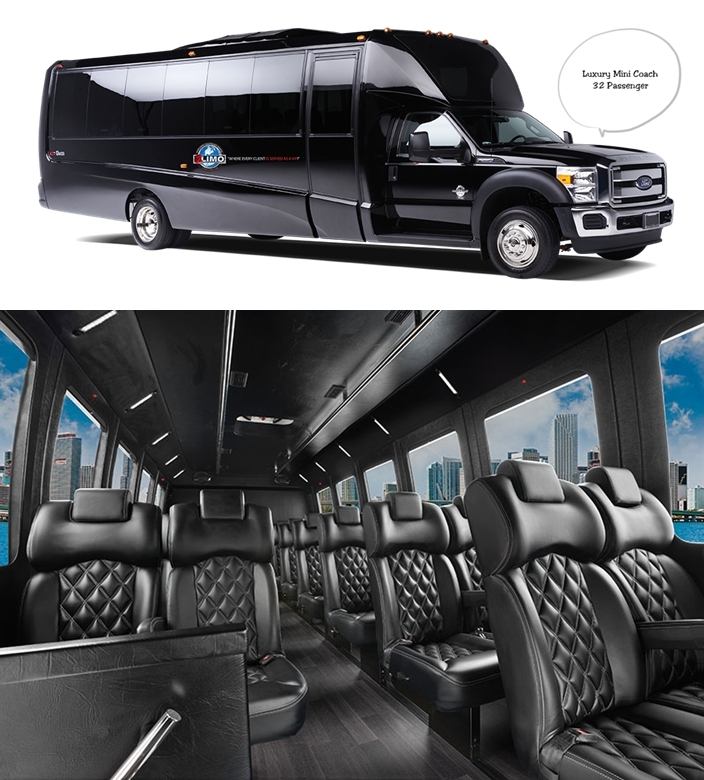 With more headroom than a stretch limousine provides, this vehicle is especially ideal for long-distance trips and corporate travles, carrying passengers in both comfort and style. Complimentary bottled water, mints, tissues, and hand towels, are in every vehicle. Mini-buses are especially perfect for long distance rides and shuttle service. 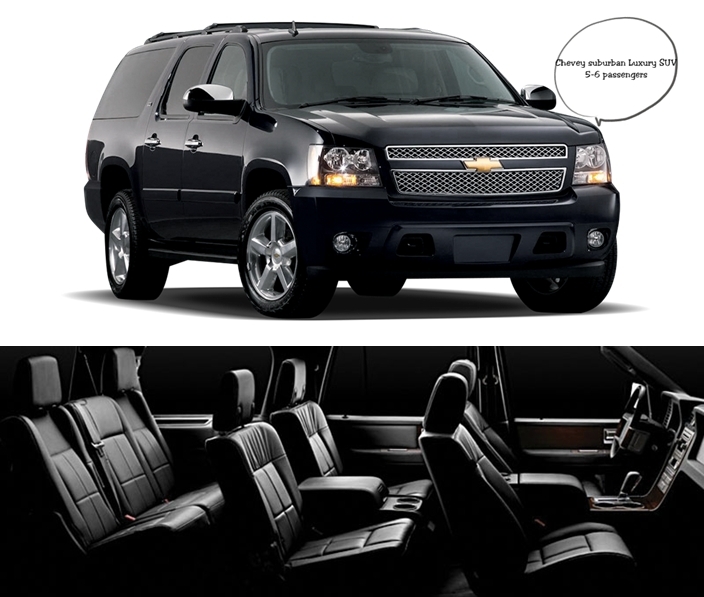 With more head room and leg room, you'll arrive at your destination relaxed and ready for your event. Our vehicles are stocked with complimentary mints, tissues, hand towels, and bottled water and equipped with free Wi-Fi for your convenience. These luxury coaches are known for comfort and convenice and are best suited for shuttle service or long drive for larger groups. These buses are stocked with complimentary mints, bottled water, tissues, and hand towels. Buses are also equipped with free Wi-Fi for your convenience.